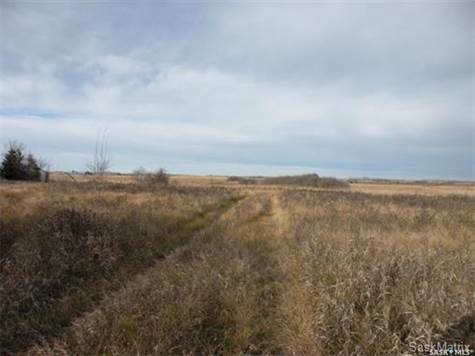 Lot Size: 69.68acres n/a "Irregular"
Well located property approx. 15 minutes from Saskatoon, just off #14 highway. Good gravel road in front of the property and power running across the property; great potential for a building site. The land is fenced, cross fenced and has a good water supply for livestock. There is a proposed treated waterline in the works right now.